Destinations, Routes, things to do or not to! Heading down next week for a look see . Little dirt planned , About 2k km , KLR . Wyangala and surrounding areas are fantastic, scenic and generally really nice. I love it around that area. Are you going for a day ride or staying. There's some nice camping there. 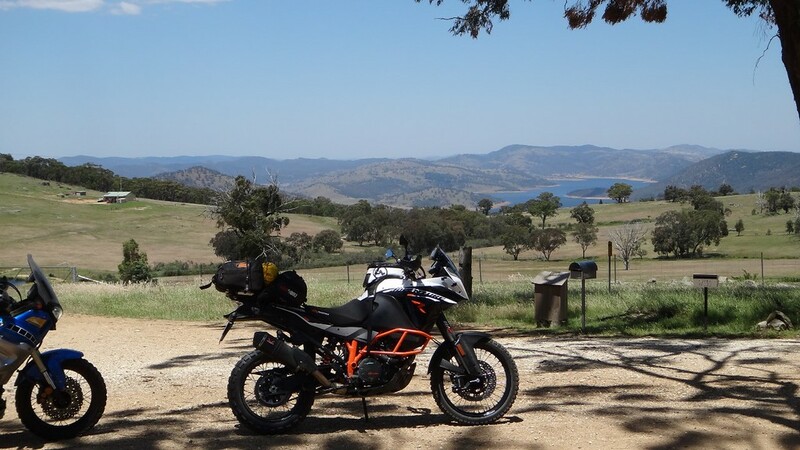 Yeah lovely area, we camped at Koorawatha Showgrounds and did a loop out past Cowra and out to Wyangala then on to Boorowa and back to Koorawatha, some dirt(about 6ks) but mostly tar, lunch at Boorowa all up about 5hrs. We should head out there one weekend Baz. Heading down for a few days to visit a mate . At Oaky creek overlooking the dam . The only dirt im expecting is the road in from Lyndhurst . Andrew2 wrote: We should head out there one weekend Baz. Sounds like a plan Andrew. Enjoy your few days Laurie. The dam is 49 % the dirt roads around it have corrugations but the campers are leaving it cleaner than i remember , there is lots of wild life ( and sheep ) and the weather is great . That's low. Is it green out there yet?.